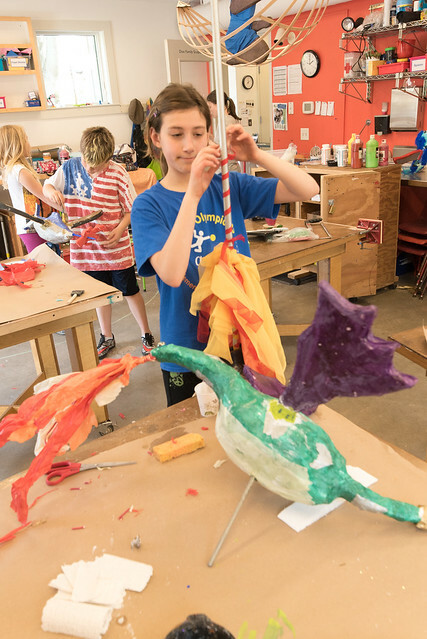 Creating a racing sculpture at Maud Morgan Arts: Click on the image to start the slideshow. Kids built and raced Aesop’s Fabulous Flying Machine at the April 23rd Community Sculpture Race at Danehy Park. The vacation camp was led by guest PSR Artist Mitch Ryerson with MMA Site Director Haley MacKeil. The project was funded in part by a collaboration grant from Cambridge STEAM. Images by Andrew Held.